To celebrate the opening of these experiential dealer showrooms, Control4 invites consumers to #C4Yourself on Thursday, May 31, at showroom events in 25 markets around the world. SALT LAKE CITY--(BUSINESS WIRE)--Control4 Corporation (NASDAQ: CTRL), a leading global provider of smart home solutions, is revolutionizing how people learn about, experience, and interact with Control4 smart home solutions with the opening of 140 Control4 Certified Showrooms at Control4 Authorized Dealer locations across the U.S., Canada, UK, China, and Australia. Consumers in cities around the world can find a Certified Showroom location here and register to attend a local #C4Yourself Day event. 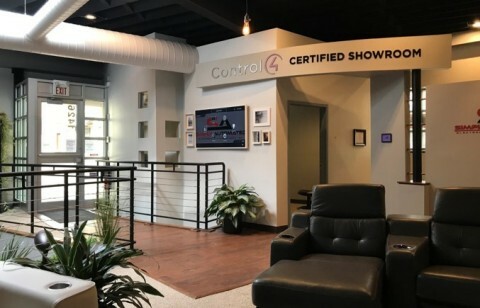 The Control4 Certified Showroom program is designed to direct homeowners, architects, and designers in the market for smart home solutions to a location where they can experience Control4 in an ideal showroom environment and find the right installation partner for their needs and lifestyle. Control4 Certified Showrooms are a powerful way of engaging consumers through personalized and interactive home automation experiences. Control4 invites consumers and building/design professionals worldwide to #C4Yourself Day on Thursday, May 31, 2018. This is a global open house event that will take place at all new Control4 Certified Showrooms. Consumers are invited to get more information and RSVP to local event by searching for the nearest Certified Showroom here. Control4 [NASDAQ: CTRL] is a leading global provider of automation and networking systems for homes and businesses, offering personalized control of lighting, music, video, comfort, security, communications, and more into a unified smart home system that enhances the daily lives of its consumers. Control4 unlocks the potential of connected devices, making networks more robust, entertainment systems easier to use, homes more comfortable and energy efficient, and provides families more peace of mind. Today, every home and business needs automation horsepower and a high-performance network to manage the increasing number of connected devices. The Control4 platform interoperates with over 11,700 third-party consumer electronics products, ensuring an ever-expanding ecosystem of devices will work together. Control4 is now available in 100 countries. Leveraging a professional distribution channel that includes over 5,600 custom integrators, retailers, and distributors authorized to sell the full-line of Control4 products, Pakedge branded networking solutions and Triad Speakers, Control4 is delivering intelligent solutions for consumers, major consumer electronics companies, hotels, and businesses around the world.